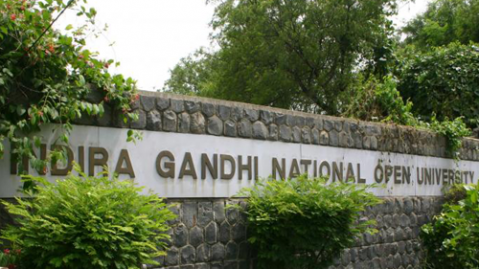 On 21 May, 2014, Indra Gandhi national open university (IGNOU) has launched a new PG Certificatation programme in Geoinformatics. The programme is called as PG Certificate in Geoinformatics (PGCGI). The course will be provided by The School of Sciences (SOS) and students will be able to take admission into this programme from the current admission cycle i.e July 2019. People from IIT, IIIT, ISRO, DRDO, C-DAC and various universities across India from the fields of remote sensing, GIS, GPS, image interpretation, digital image processing, cartography, and different application areas were involved in designing PGCGI programme. There is a high demand of Geoinformatics professionals in the market. Not only private sectors but government sectors also required geoinformatics professionals. Geoinformatics technologies deal with acquisition, storage, processing and dissemination of spatial information. The PG Certificate in Geoinformatics will enable the learners to understand the basic concepts of geoinformatics technologies and will help them learn how Geoinformatics can be use in practical scenarios. 1. To give basic knowledge about the basic concepts of geoinformatics technologies to the learners. 2. How geoinformatics technology can be used in analysing the spatial data. 3. Widen the opportunities for learners to get a job in growing field of geoinformatics. This programme is best suited to working professionals who has no or little exposure to geoinformatics and want to make a career in the field of geoinformatics. The programme will help learners to secure some basic knowledge & skills required to make a career in the field of geoinformatics. The Post Graduate Certificate in Geoinformatics (PGCGI) is of 6 months duration althogh students can complete the course in 2 years. There is no age bar to take admission into the programme and admission can be taken in both July & January sessions. To take admission into Post Graduate Certificate in Geoinformatics (PGCGI), a candidate must be a graduate with science in 10+2 level. The fee of the programme is INR 9500. The programme is offered in distance learning mode and through IGNOU regional centers. Students support service will be provided to the students through regional centers located in different states on India. Currently, the study centres for this programme are located at Srinagar (J&K), Pune (Maharashtra), Durg (Chhattisgarh), Guwahati (Assam) and New Delhi. This is the first programme in India in Geoinformatics which is being offered in distance learning mode. Students will get practical exposure on two freely available software, namely, ILWIS and Quantum GIS. This practical exposure is the USP of this programme and students can use these softwares even after they complete the course. Hope you must liked our today's post. If you've any query on this feel free to contact us.